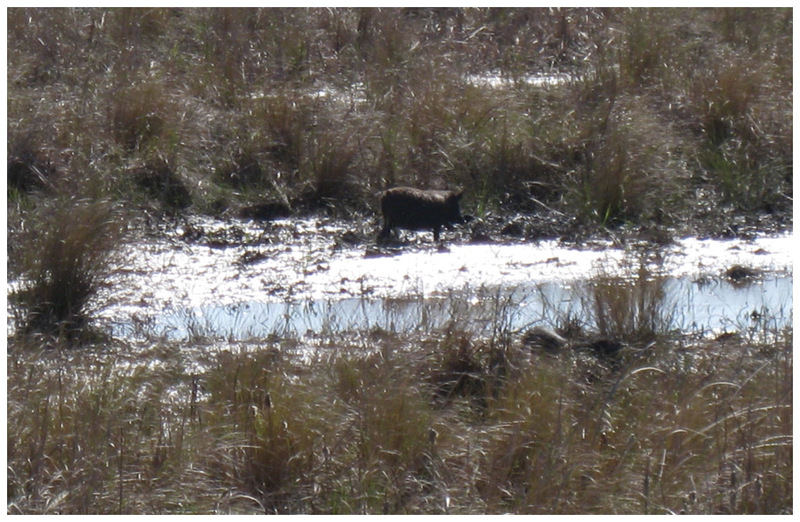 I finally spook up a couple of herds of feral hogs in the mud flats. Here is my very long distance video. Here is another on the pig problem in Texas.